Horse attendant of Sultan Bayezid-i Veli, Omer bin Seyyid Fahreddin Effendi had this mosque built in the year 1491. Its deed of trust is dated to 1497. The mosgue remained in ruins for years until it was rebuilt by the Association of Monuments of. Turkiye in 1953. Its mihrab is covered with encaustic tiles and has a single minaret with a single balcony. In threshold of the mosque which is a surrounded with walls, there is a functioning water-well. The mosque underwent another repair between the years 1995-97. 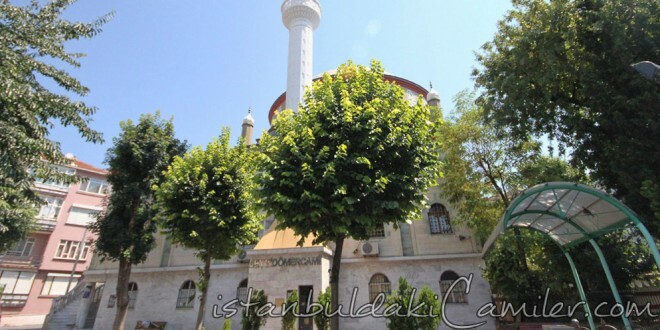 The benefactor Seyyid Omer Fahreddin Effendi rests in the graveyard of the mosgue.